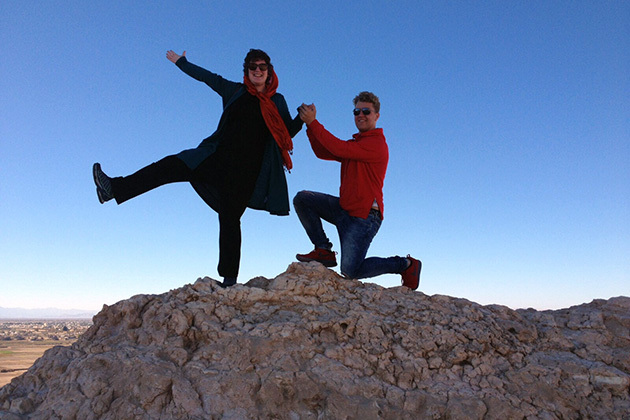 Being located in Southwest of Iran, Shiraz has a very moderate climate. 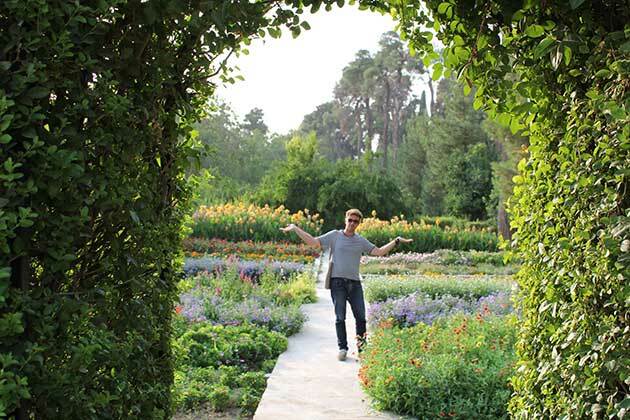 In Shiraz, each season can be enjoyed distinctively. In spring, when innumerable orange trees blossom, there is the scent of flowers all over this so called city of flowers and nightingales. In summer when the days are sunny and the sky is serenely blue, the nights are cool and pleasant. Autumn in Shiraz is truly the “season of mist and mellow fruitfulness”; and winter has its own wonders as in Shiraz in winter you may experience sunny, rainy and even snowy days. 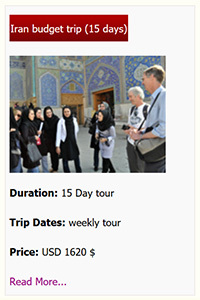 Come to Shiraz and savor its local foods and desserts. Kalam Polo a main dish with rich and various ingredients like cabbage, rice, vegetables and meat loaves, and a side dish of pickles of whatever fruit and vegetable you can imagine. Kashk o Badenjan, a delicious appetizer for vegetarians and especially eggplant lovers served with Kashk, an Iranian sauce. 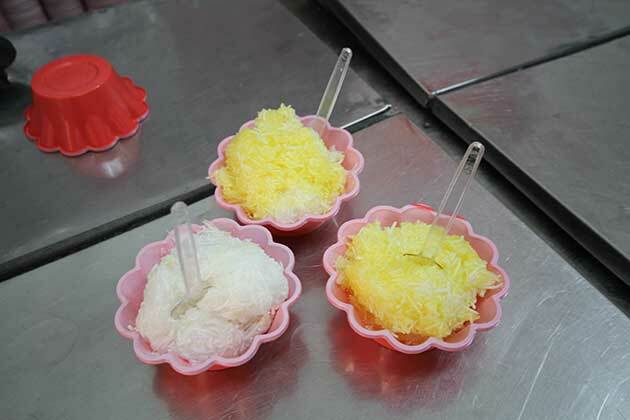 For dessert, how about traditional ice creams with rose extract or saffron? The ancient Greek and Roman history is absolutely intermingled with ancient Iran history. 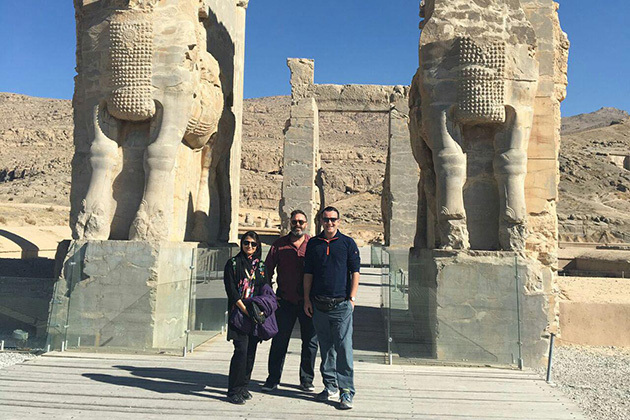 You can see yourself in the middle of the pages of the World’s oldest history books by visiting Persepolis, the Vatican of Achaemenians, and Necropolis the art exhibit of Sassanid for whom the mountains were canvas and the ax was the brush. Christians, Jews, Zoroastrian and Muslims, the Shiite and the Sunnite, live in peace and harmony with each other in Shiraz. Are you willing to know more about Shiism? Shah-e-Cheragh, Astaneh, Ali-ibn-Hamzeh and many other religious centers make Shiraz one of the most important holy cities for Muslims all around the world. But they aren’t only visited by Muslims, for many non-Muslim tourists have said they can never forget the unique architecture of shrines with their magnificent mirror work, stucco and inlay decoration which is truly breathtaking in the first glance. 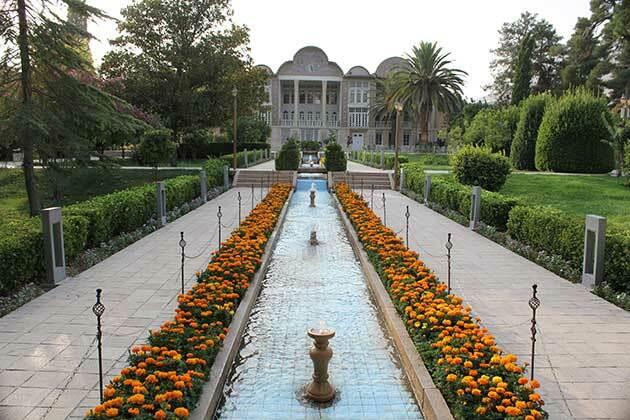 How is it that Shiraz is famous for its Persian gardens in a country like Iran with such a desertic climate? 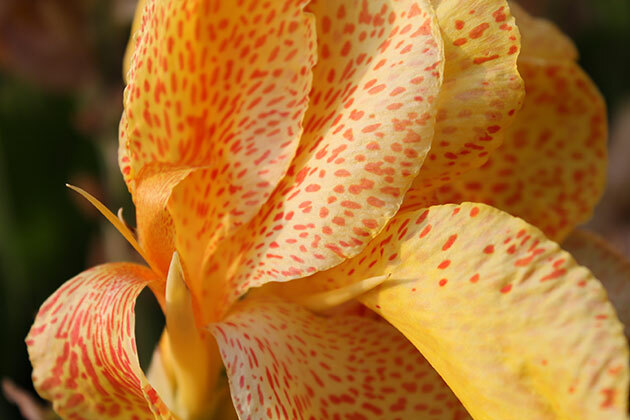 That’s a secret you are going to discover on your own when you take a walk in Eram, Delgosha or Naranjestan garden among many others with their evergreen cypress, pine and fruit trees and the fountains which echo the sound of water and refreshes the soul. World’s literature is indebted to great authors and poets like Goethe, Edward Fitzgerald, Ralph Waldo Emerson and Nietzsche who were in one way or another influenced by Persian literature. 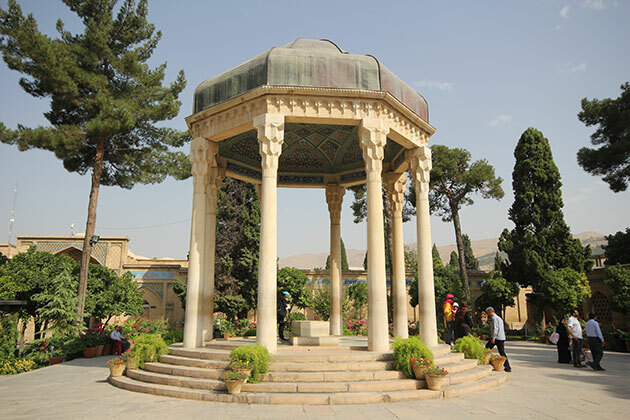 Shiraz is the cradle of Persian poetry. Sa’adi, the greatest poet of the 13th century and the true master of Persian language was actually an ardent world explorer who visited Anatolia, Syria, Egypt, Halab, Jerusalem, Mecca and Medina. He wrote the story of his life and journeys in two books named Boustan in verse and Golestan in prose. His tomb as he attested still attracts the lovers after 800 years. Hafiz whom the World pays homage to respected Sa’adi as his master one century later. Goethe among many other prominent personages has visited Hafez tomb in Shiraz. Like Sa’adi Hafez has prophesied that his tomb would be “the shrine where the drunkards abound” and it still is. 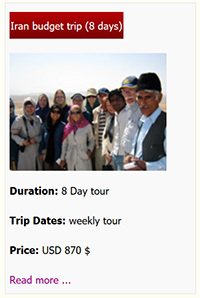 Ecotourism is one of the most frequently requested in Shiraz and Fars. Shiraz is surrounded by mountains and it is just a matter of some minutes if you suddenly feel like hiking or trekking while sitting in your hotel room looking at the mountains through the window. 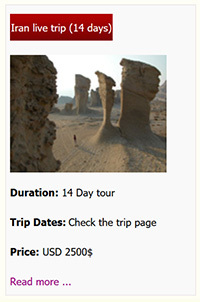 For the more adventurous we offer the more off the beaten path destinations in Fars. Just choose the kind of natural surrounding you’d like to find yourself in and we tell you which road to take. Not any two directions in Fars takes you to the same landscape. 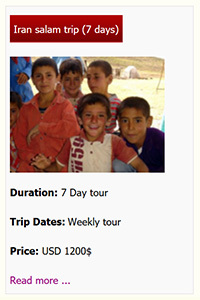 Does ethnology tourism interest you? We can offer you a unique experience of visiting Qashqaei nomads and their life style in passing one day to another by husbandry and livestock breeding. 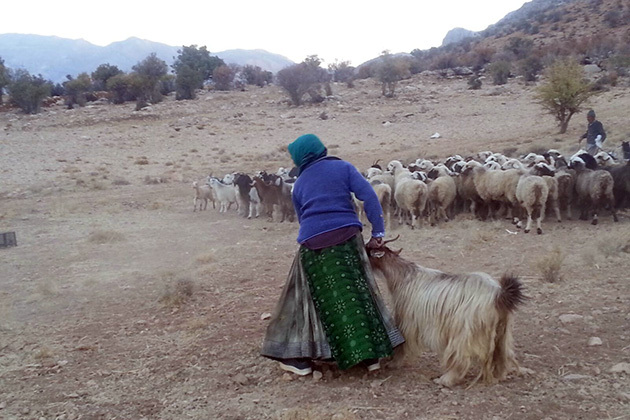 One of the most prominent aspects of nomadic life in Iran is its rich folkloric music whose masters are the shepherds and shepherdesses who sing to their local instruments accompaniment. 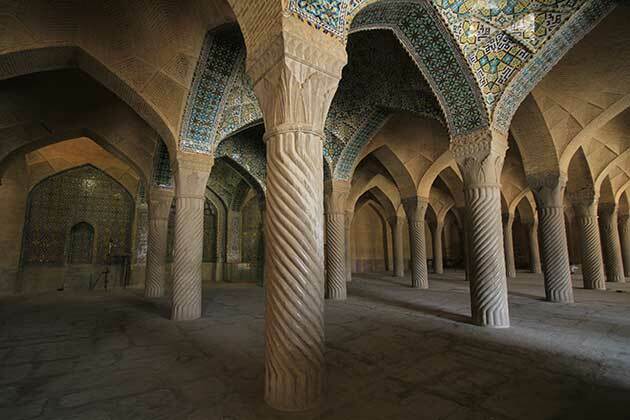 As witnessed in Taj-Mahal, Persians were masters of Islamic architecture. Tamerlane the expansionist conqueror killed many a people in his assaults on Iran in the 14th century, only sparing the artist and architects whom he sent to his capital to rise the edifices he desired to have. 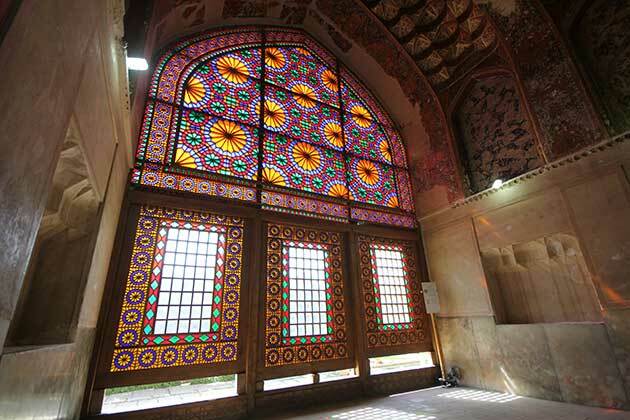 Different styles of Islamic era architecture are to be found in Shiraz where there are exceptional mosques of Nasir-al-Molk, Regnant and Atigh in the style of Persian mosques;many traditional houses where Iranian lived with their expanded family until fifty years ago, bazars where commerce and business has been being practiced for a long time and Madreseh or schools where Sharia and religion were and are up to now taught. If you are thinking about having a medical or cosmetic surgery, you can consider Shiraz among your choices. Shiraz is a medical pole in Iran and Shiraz University of Medical Sciences is one the best in Asia. Iranian specialists with different diagnostic and therapeutic specialties are among prominent doctors of Europe and America; some of them spending half of the year in Iran in their own high-tech clinics, hospitals or medical facilities and the other half there. Moreover, we are trendy around the world nowadays. You can google the stars that have chosen Iran for their plastic surgery recently.